Employees ranked school highest in areas of facilities, workspace and security, respect and appreciation. 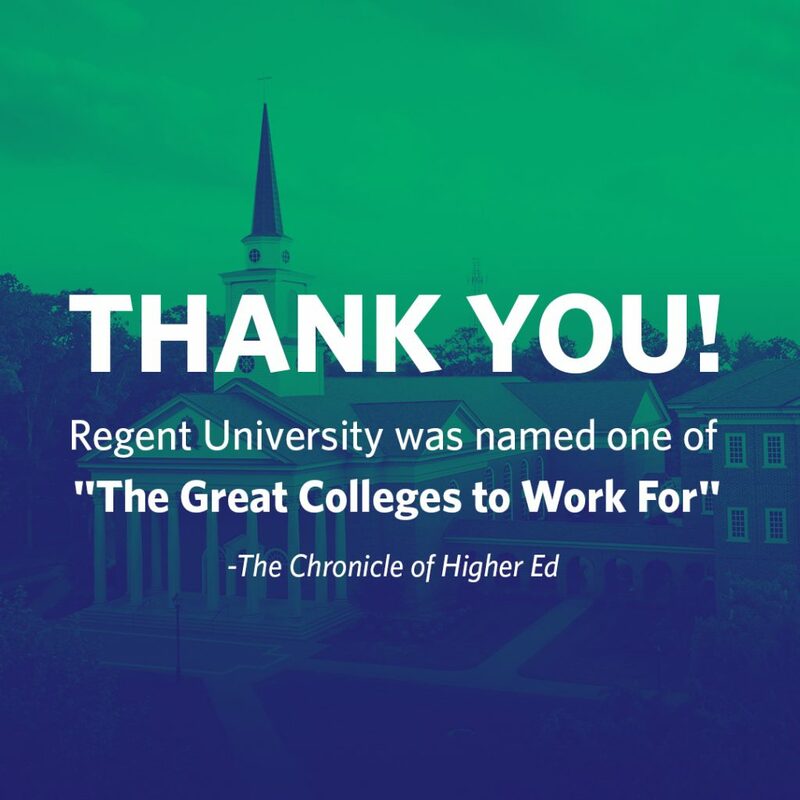 Thanks to the contributions of faculty and staff, Regent University has been ranked as a Great College to Work For® by The Chronicle of Higher Education. The results of the annual survey given to employees was released to the public on Monday, July 16. This is the tenth consecutive year Regent has earned this distinction. In the 2018 survey, Regent was named among the best in the categories of Facilities, Workspace & Security and Respect & Appreciation. According to a release from the publication, the results of this years’ survey was based on responses by 53,000 individuals from 253 accredited higher education institutions, both private and public, in the United States.